Sunday's Great North Run features men's and women's races bound to go down in history, with the winners of the last five Olympic 10000 m gold medals, Kenenisa Bekele (Ethiopia), Mo Farah (Great Britain) and now-veteran Haile Gebrselassie (Ethiopia) slated to go head-to-head in the men's race and London Olympics marathon silver medalist Priscah Jeptoo (Kenya) going after Moscow World Championships 5000 m and 10000 m gold medalists Meseret Defar (Ethiopia) and Tirunesh Dibaba (Ethiopia). Even though there may be doubts as to whether Bekele will really start what would be his half marathon debut, what more could you ask for? But beyond the big stars both races feature deep quality fields. The men's race features 2013 Kagawa Marugame International Half Marathon winner Collis Birmingham (Australia), top Europeans Daniele Meucci (Italy) and Koen Raymaekers (Netherlands), and five Japanese men appearing with support from JRN. London Olympian Arata Fujiwara (Miki House) leads the Japanese contingent with a 1:01:34 best, making his 2013 racing debut after a long injury following last December's Fukuoka International Marathon. 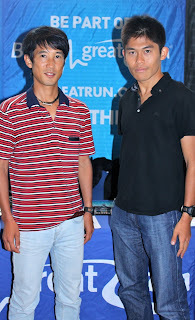 Fujiwara's rival and sometimes training partner Yuki Kawauchi (Saitama Pref. Gov't) is also set to make his U.K. debut in his second race his a disappointing marathon at the Moscow World Championships. 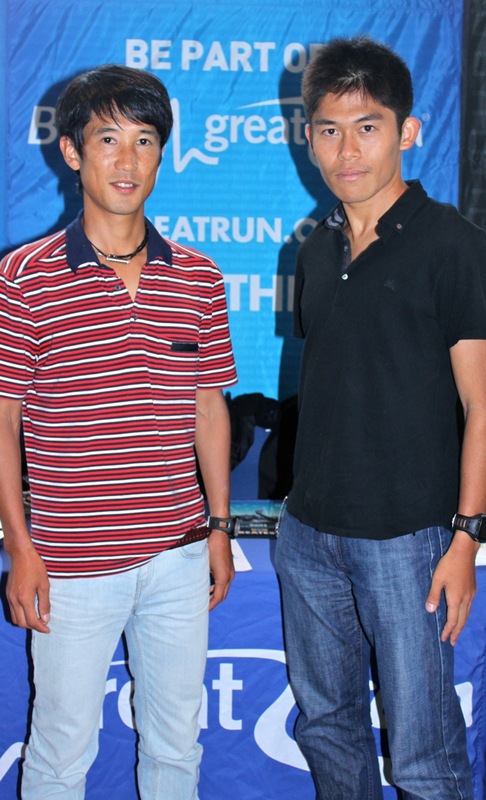 Independents Fujiwara and Kawauchi have been the story of Japanese men's marathoning since 2008, and their head-to-head matchup at the Great North Run will be their first time racing each other outside Japan. But the corporate leagues are not to be left behind, sending three young runners led by Tomohiro Tanigawa, a member of 2013 New Year Ekiden national champion Team Konica Minolta. Tanigawa ran the First Stage in Konica's national championship performance in January, then followed up with 1:02:17 and 1:02:19 half marathons, a 2nd-place finish at February's Ome 30 km Road Race, a marathon debut at Boston, and two 5000 m PBs over the summer. Like Fujiwara a graduate of Takushoku University, Tanigawa's best is one second faster than Kawauchi's and he is reportedly in excellent shape, aiming for a sub-62 clocking. Fujiwara and Kawauchi will have a hard time beating him. The Koichi Morishita-coached Ryuji Watanabe (Team Toyota Kyushu) is the weakest Japanese man on the team on paper, but his 1:04:01 best in late July was a 2 1/2 minute PB in 28-degree temperatures, beating both Tanigawa and Kawauchi. He could be poised for a breakthrough. Ryota Matoba (Team Komori Corp.) rounds out the Japanese men with a 1:03:15 best at March's National Corporate Championships. Beyond the three medalists, the women's race features four sub-70 Europeans, Jelena Prokopcuka (Lativa), Christelle Daunay (France), past Great North Run winner Jessica Augusto (Portugal) and Lisa Stublic (Croatia). Running well lately, Gemma Steel is the top British entrant with a best of 1:10:46. Two Japanese women are also in the race further down the field, Ayaka Hitomi (Team Shimamura) with a 1:14:23 best from this year's National Corporate Championships and Misaki Kato (Team Kyudenko) making her half marathon debut after running a 33:10.83 track 10000 m best earlier this season. JRN will be on-hand at the Great North Run to cover the race and provide support to the Japanese athletes. Check back for further coverage throughout the weekend.